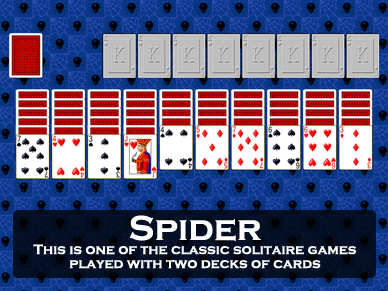 Click on the screen shot of the game Fred's Spider from Pretty Good Solitaire to download the 30 day free trial version. 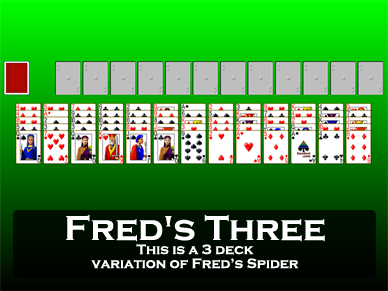 Fred's Spider is a two deck, easy variation of Spider. 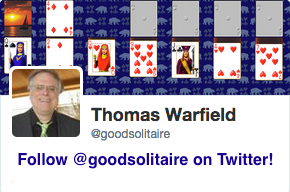 It was invented in Pretty Good Solitaire. My version of Fred's Spider in Pretty Good Solitaire allows you to play offline, full screen, with complete undo and my unique right click quick move. It's the best way to play solitaire! Fred's Spider for Windows 10 or Mac! In this video I explain how to play Fred's Spider. Download Fred's Spider Now and play along! At the start of the game 5 cards each are dealt face up to 10 tableau piles. Then remaining cards go face down and form a stock. There are eight foundation piles. 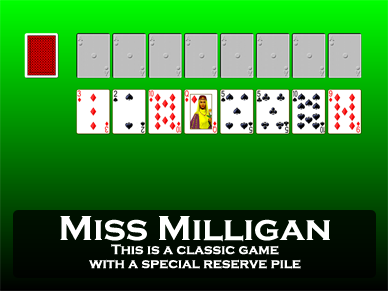 The object is to build the foundation piles up in suit from Ace to King to win the game. In the tableau, the piles are built down regardless of suit. But as in Spider, you can only move groups of cards if they are in sequence down in suit. You will want to prefer building down in suit then, when possible. When all plays have been made, clicking on the stock deals one card to each tableau pile, burying the existing cards, as in regular Spider. 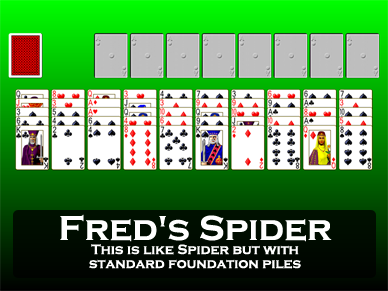 Fred's Spider is easy to play and can be won nearly every time, making it one of the easiest of the Spider type games. Fred's Spider was invented by Fred Lunde. 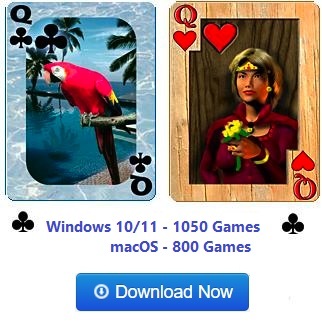 It is original to Pretty Good Solitaire.